Bowling is here in Syracuse and the Oncenter has been full of excitement. 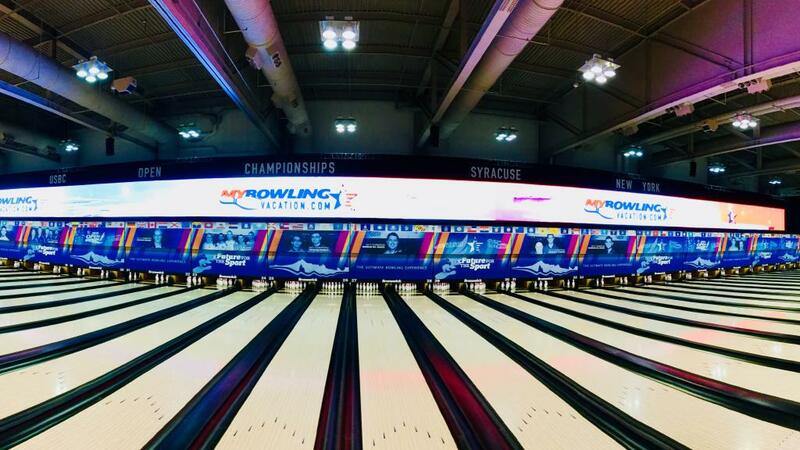 The USBC Open Championships have just begun but there’s been another group of athletes breaking in the lanes and doing their thing in ‘Cuse- the Special Olympics. 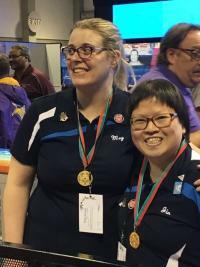 Bowling might not be in the actual “Olympics” but the sport takes the Special Olympics by storm and is one of their most popular events all around the country. 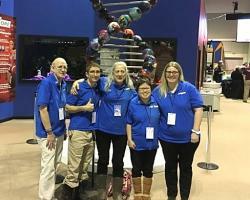 On March 14 and 15, approximately 280 bowlers gathered to compete in the National Unified Bowling Tournament hosted at a whole new, grander venue, the bowling facility that has been built inside Syracuse’s OnCenter Complex, which is also home to the 2018 United States Bowling Congress Open Championships from March 24 – July 8. Emerging as the first ever Central New York team, male doubles partners, Alek Fiorenza and Kerry Dale, and female doubles partners Jin-Snook Swizdor and Megan Rutledge competed in the event. Both pairs have bowled in other events with their partners before but the two duos have never competed together up until this point. They worked alongside USBC Hall of Famer Bob Hart during their clinic on Tuesday before the event kicked off. With the help and encouragement of their coaches, mentors and Mr. Hart, Swizdor and Rutledge took home the gold in the doubles event while Fiorenza and Dale brought home the bronze for the male category. As a four-person team they accomplished the bronze bringing pride to Central New York. Unified coach, Debbie Smith, expressed that they plan to try to partake in this event next year in Las Vegas. As for our local bowlers, Coach Smith and participant Kerry Dale plan to research the idea of creating a, “Unified League,” here in Syracuse this upcoming fall. Smith explained that there is a lot of interest around creating this league not just for the participants but also for the volunteers who enjoy watching their coaching and support come to life on the lanes. Do you know a bowler that’d be interested in participating in the Unified League? Keep an eye out for information and enjoy the surge of all things bowling in Cuse. All sorts of winners have already been awarded on the Oncenter alleys. Close, a champion bowler and Syracuse native, is a blog contributor for Visit Syracuse.